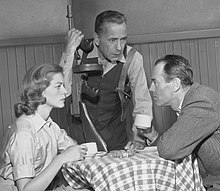 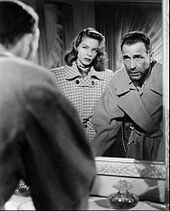 The suspenseful Dark Passage (1947) was Bogart and Bacall's next pairing. 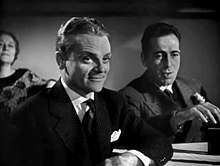 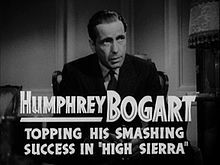 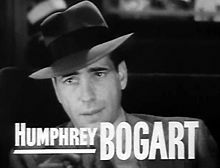 Vincent Parry (Bogart) is intent on finding the real murderer in a crime for which he was blamed and sentenced to prison. 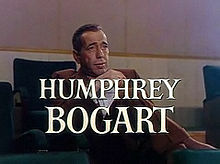 Bogart's biographer Stefan Kanfer describes it as being "a production line film noir with no particular distinction". 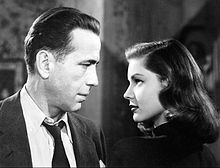 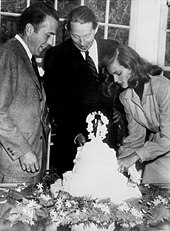 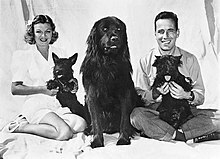 The couple's last pairing in a theatrical film was in Key Largo (1948). 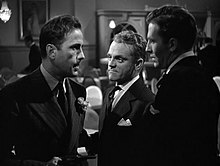 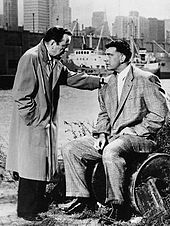 Directed by John Huston, the film had Edward G. Robinson billed second behind Bogart as the gangster "Johnny Rocco", a seething older synthesis of many of his vicious early bad guy roles. 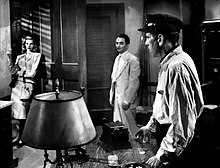 The characters are trapped during a spectacular hurricane in a hotel owned by Bacall's screen father-in-law, played by Lionel Barrymore. 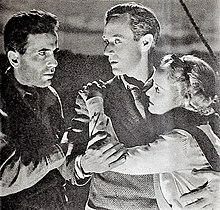 Claire Trevor won an Academy Award for Best Supporting Actress for her performance as Rocco's physically abused alcoholic girlfriend.